In case of extreme wear on reject valves / dirt traps, e.g. high density cleaners. 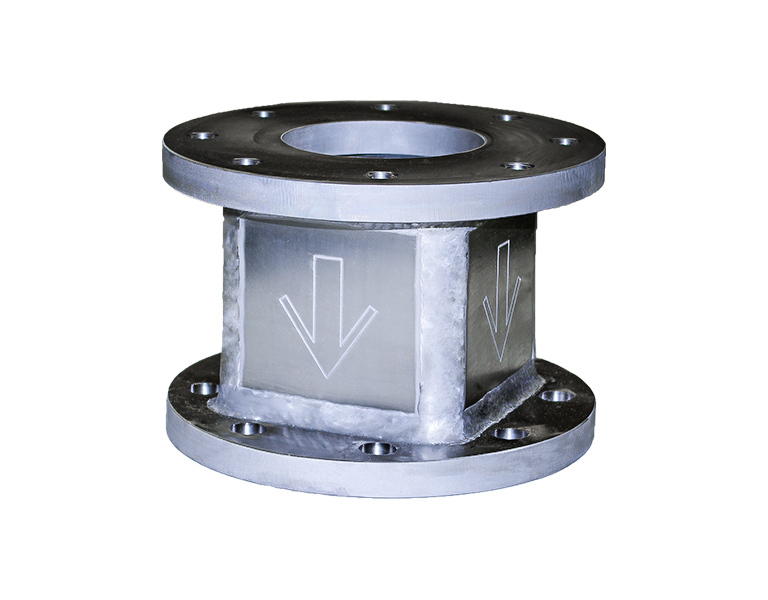 The rectangular cross section slows down the rotation of the medium and the rotation does not penetrate to the valve. 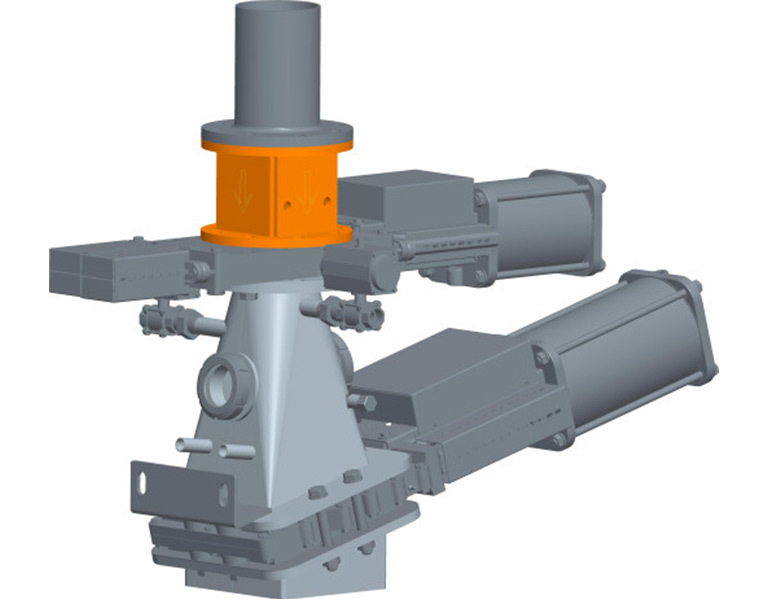 Minimisation of wear on the valve and trap container increases the service life, reduces maintenance, lowers costs and increases operational reliability. The fibre recovery (high density cleaner) is not impaired. The ready-to-install vortex breaker is integrated above the inlet valve of the dirt trap. It is adapted to different nominal diameters. Only the height of the overall machine changes – depending on the nominal diameter of the dirt trap – by the height of the respective rotary damper (see dimension sheet).